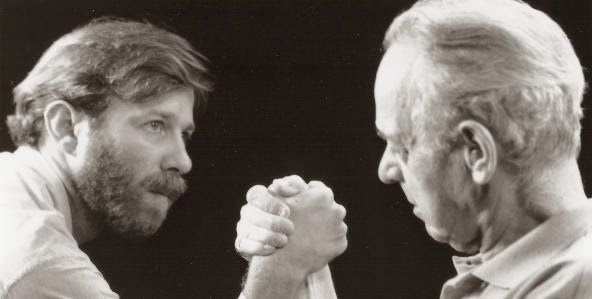 Our entire class found Nobody’s Business to be a delightful change of pace when we viewed it for participatory mode, largely because the filmmaker, Alan Berliner’s, relationship with his father becomes the center, catalyst, and purpose of the film. The complexity of this relationship shows through in the first sequence of the film and develops ever more nuance and weight as the film progresses. Berliner manages to express this relationship with very minimal voiceover narration. It is almost entirely expressed in the diegetic dialogue between himself and his father on-camera, with the help of non-diegetic post-modern use of archival footage (largely of boxing matches) to render external and visual the struggles that the filmmaker wanted us to understand were occurring more internally, creating strong visual metaphors. The way in which Alan Berliner allows his father to constantly condemn and redeem himself in the course of the film’s interview dialogue shows a great amount of charity and investment in the relationship. It would have been incredibly easy to edit the same conversations to make his dad seem irredeemable, but that never happens. Oscar Berliner is always allowed to finish his thoughts, so that his outlandish initial sound bite statements are softened by explanation and context, and sometimes even by the arguments they provoke. Certainly the sequences explaining and illustrating the intense loneliness of his father’s lifestyle evoked a sense of explanation and forgiveness for some of the more unfeeling words his father threw at him. Certainly Berliner came across as more of an essayist than a historian. 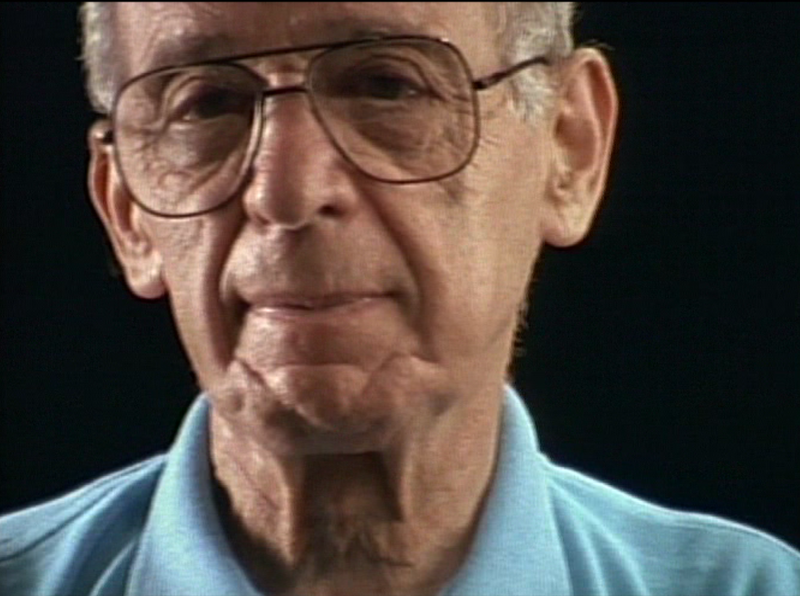 He also embodied Nichol’s statement that, “It is the filmmaker’s participatory engagement with unfolding events that holds our attention.” As Alan Berliner’s participation, catalysis, and provocation were the glue and the impetus that kept the entire film cohesive and kept me as a viewer engaged. Berliner’s own sense of family, identity, and relationships became the normalized perspective against which to judge his father’s alternate value set. The film felt inevitably structured to evoke sympathy with Alan Berliner’s perspective and values, but also to provoke a complicated, redeemed affection for Oscar Berliner who so frequently antagonizes him. 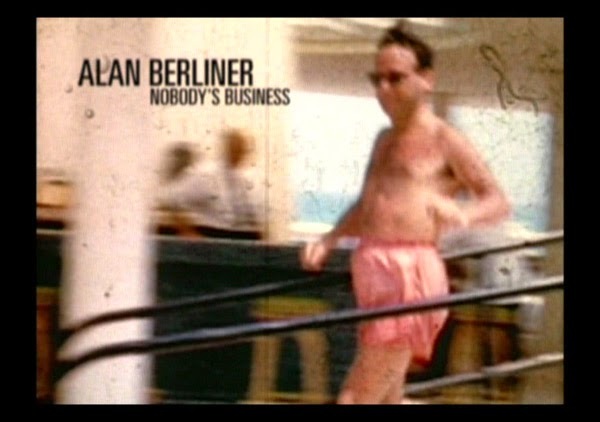 It seems that without the voice of Alan Berliner, and the sense of him navigating his relationship with his father, it would have been difficult or impossible to portray his father with the same dignity and likeability. The obvious affection that Berliner has for his father is what allows the audience to repeatedly forgive Oscar for his belligerence and folly.